Aanuka Beach Bures, Coffs Harbour, is located at Aanuka Beach Resort which lies on the beachfront at Diggers Beach and is set peacefully among 2.5 hectares of landscape subtropical gardens. 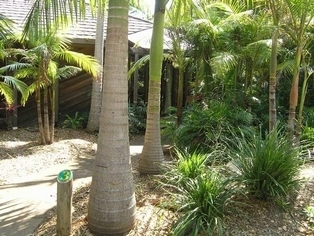 Just 3kms from the heart of Coffs Harbour city and situated between 2 magnificent headlands. Stereo, dining area and reverse-cycle air conditioning. At Aanuka Beach Bures we have a range of features and facilities available. You can choose to do as little or as much as you like during your stay with us. There is something for everyone. Several bars and restaurants, massage and rejuvenation retreat, onsite chapel and wedding function room. We trust you will enjoy this fabulous holiday region known for both it's exciting lifestyle experiences and tranquil surroundings. Polynesian Style One Bedroom Bure. 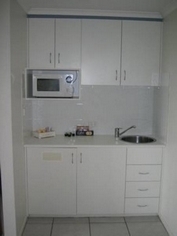 Queen Size Bed, Double Sofa, Kitchenette, Laundry Facilities and Spa Bath in Ensuite. Guests are able to arrive earlier by prior arrangement however if arriving before 1200pm there is a $20 charge. Guests are able to arrange a later checkout however if later than 1200pm there is a $20 charge. Extra adults $20.00. Extra children $20.00. The room caters for a maximum of 4 adults, and a maximum of 2 children but cannot exceed 4 guests in total. Open and undercover carports are available for guests. 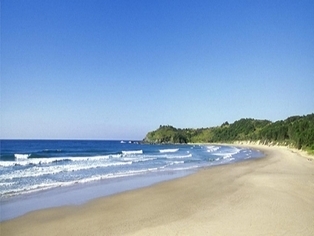 Aanuka Beach Bures is situated only 3kms north of Coffs Harbour City set back only 30 metres from Diggers Beach. Turn off the Pacific Hwy opposite the Big Banana.